The Amplitude enterprise platform is making a real difference for patients and clinicians in Swansea. 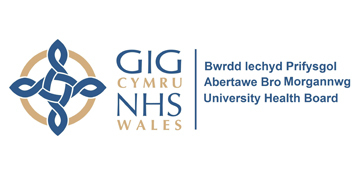 The Abertawe Bro Morgannwg University health board commissioned Amplitude to provide a clinical outcomes solution for its Musculoskeletal unit, across three of its sites. The positive contribution that this platform has made to the gathering of PROM’s data in Swansea has been recognised by the awarding body at the Government Opportunities Awards Wales, by announcing it as a finalist. The system was implemented on 31st November 2015 and has been consistently collecting PROM’s data for the past 1 year 7 months. After witnessing the success of the software, ABM UHB chose to begin using the system to virtually follow up with patients. If, when answering their scores, patients were presenting a decline in health, healthcare professionals would bring the patient in for a face to face follow up, therefore decreasing costs and implementing a more streamline process. The team at Amplitude worked collaboratively with ABM UHB to implement a system that would work with them to provide exactly what they needed. A priority for the Welsh Government and the Welsh Orthopaedic Board, is the collection of Patient Reported Outcome Measures (PROM’s) as a means of monitoring the quality of procedures, not only from a clinical perspective, but also from the patient’s own experience. With spine related PROM’s being mandatory, more resource savings are being made by the spinal department who only need to enter their data once, to take advantage of the data exchange with the British Spine Registry. Congratulations to all the teams involved on being nominated as a finalist. Follow this link to find out more about Amplitude’s Enterprise Platform or contact us here to request a demo.